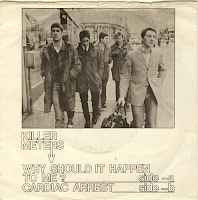 Short sharp kick in the teeth: # 315 Killermeters - Why should it happen to me? 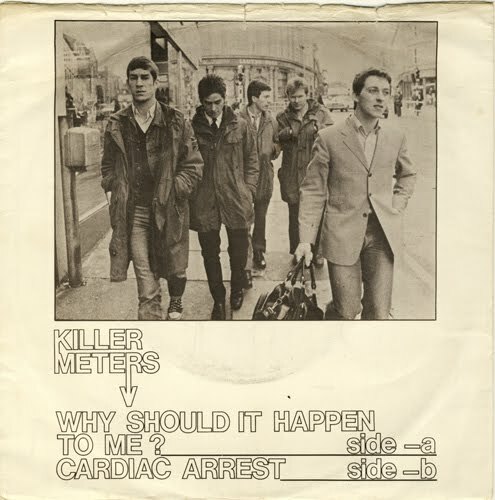 Side a: Why should it happen to me? First output of this Huddersfield lads was released on the "Psycho" label who brought us the "Incredible Kidda Band" too. Two great mod revival tracks here on this platter.Please read everything here. hi there thanks for sharing this - great stuff - i've linked it from my blog - i hope that's ok. Fantastic single. Thank you very much.